Thank you to ReduceMyEnergy.com for providing me with product, free of charge, in exchange for this honest blog review. All opinions are 100% my own. My family and I moved into our new home last June. The home has an electric heat pump and a wood burning furnace. We have access to a lot of firewood so we decided that the wood burning furnace would be the best option for us to heat our home. The wood burning furnace had been disabled, but was left in such a way that it was easy to reactive it. We made the necessary changes and were ready for the cold and wet Oregon weather. Summer became fall and our September energy bill was about what we had expected. October was a bit higher but that wasn’t a big shock because the outside temperature was continuing to drop. November’s bill was about a $100 dollars more than the previous month. This caught our attention but, because we are still trying to get to know the house and furnace, we just took note of it and tried to be more careful. December came and our bill was double the November bill! Now we were on high alert. What were we doing wrong? We did some investigating, charted our meter readings each night and began looking into what changes we could make. We also called our power company and asked them for ideas. Then January’s bill came….DOUBLE December’s bill! UGH! Night and day, my husband and I were thinking about what was going on and how we could fix it. We contacted the power company and had them order a meter report so we could get an official comparison of their data with the data on our meter. We unplugged all unnecessary items, made sure extra lights were turned off, reduced the thermostat and began making sure our house was properly insulated. While researching ways to save energy, I found a site called ReduceMyEnergy.com. They offer draft sealing products, insulating products, lighting and power management items. 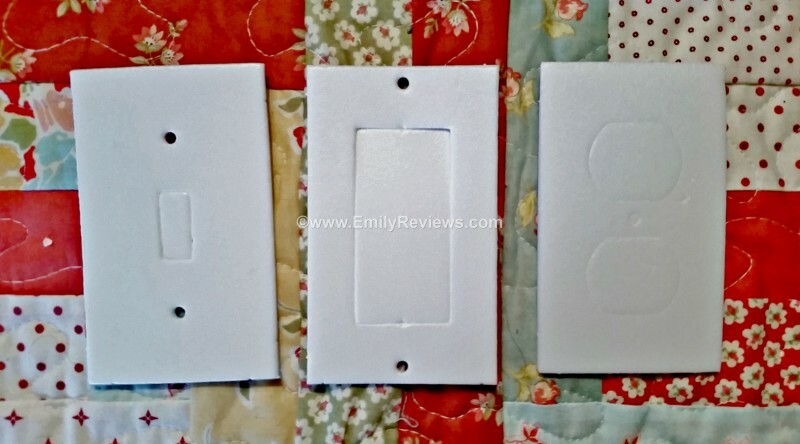 While talking with Darren at ReduceMyEnergy.com, we decided the easiest first step would be for me to install Electrical Outlet and Switch Plate Sealers. I assumed that I would just need sealers for the outlets and switches on exterior walls. Darren corrected me and I learned that for best results, sealers needed to be installed on every electric outlet and switch plate. 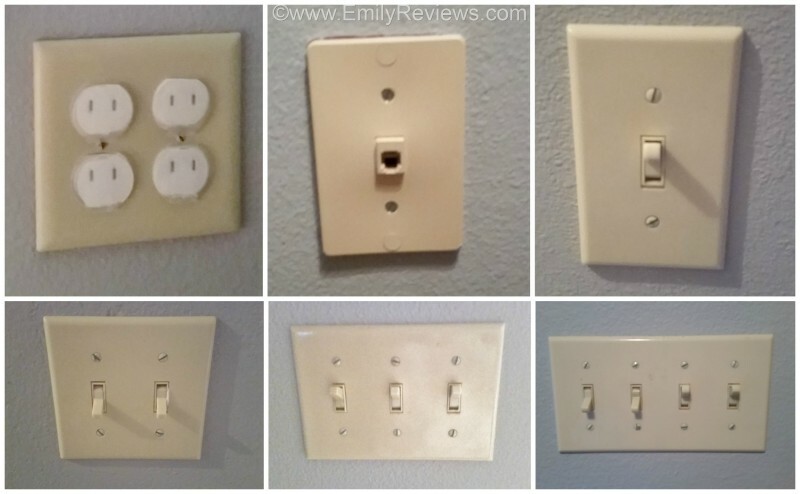 It took me an entire day to install sealers on all of our electrical outlets, switch plates and safety outlet caps. I was also able to customize sealers to work on our cable outlets, GFI switch plates and central vacuum hook‐ups. I am beyond pleased with our sealers. Prior to having them, you could feel (and sometimes hear) the draft coming through the wall. Now that we have the sealers our house is more energy efficient. wood burning furnace doing double time. Not only had we set the solid fuel temp but we had also set the temp for the electrical back up. Now that we have that figured out, our February bill was $200 less than January’s. We expect that amount to go down even more on our March bill. We plan to continue looking for ways to reduce our home energy use. My next step is going to be the doors and lighting. Thank you ReduceMyEnergy.com for helping us take control of our energy use! Buy It: Please visit the ReduceMyEnergy.com to see the great selection of products they offer. Oh these are so neat! I need to install the sealers for my outlets! We get such drafts in them. I would love to reduce our heating bills. They get so high in the winter. That’s great you saved so much money. I’m fortunate I live in a mild climate here in LA. I don’t use my air conditioning or heat and that’s the easiest way to save on the bills. My gas is cheapest so I try to cook on my gas stove over using electricity. I’m a miser with my utilities, that’s for sure. Wow! It’s shocking where air leaks in and out of our homes. I never would have thought about drafts through our outlets, but it totally makes sense. What a smart product! I’m so glad you figured out your electric bill! That had to be stressful. Great products to learn about! I’ve got a couple drafty outlets…..
What? I didn’t even know this was a thing. Our house has terrible drafts from the outlets. I’m going to tell my husband about this tonight! I think I could use those outlet covers for my 40 year old house. These would come in handy at my apartment. I can feel the cold air coming from outside. With the prices always rising, it’s good to find ways to save money, plus it helps sealing the home from drafts too!! Omgosh I would’ve had a heart attack!! Im glad you guys got it all figured out though!! A wood stove can be an amazing money saver!! Thanks for a very helpful review. Yes it can be a surprise to find all those places which contribute in your bills rising. We need to shop on that site and insulate our house too. What a wonderful review. I’ve been trying to think of ways we can start saving better on our energy bill. I will look into these products! These look like something we could really use in our house! Thanks for the great review there. I have never heard of these guys but they sound like industry experts that have been in the industry for quite some time. I think these are some things that we can really make use of. This is a great review, I never thought of doing this. This is a new must do for our list. Summer is coming and saving on air conditioning will be our 1st priority. Thanks for sharing. I installed these sealers on all my outlets last winter because we were getting a draft from the living room sockets.They have made such an improvement.